All of your agents will have access to the most comprehensive social marketing training curriculum in the real estate industry. Our online training covers important topics that will help you increase your business. 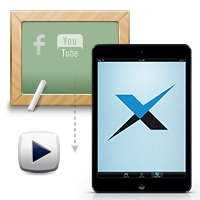 Training includes: Social Networking, Online Video, iPad, Blogging, and Mobile. Each curriculum is broken down into multiple short training videos (2 to 5 minutes each). This structure gives your agents full control and allows them to learn as much or as little as they’d like. 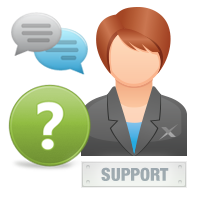 As a broker member of Social NetworX Inc. your agents will have full access to live support. Our trained staff is here to help your agents along the way to ensure that they make the most of their training experience. They can reach out to us via live chat, email, or by calling. Having the ability to call for help when needed can make such a significant difference in their ability to be successful. As a member of Social NetworX Inc. your agents can take advantage of our automated Facebook posting service. We will automatically post interesting and relevant content three times per week to their Facebook business page. 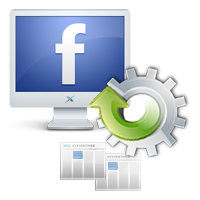 This automated service ensures that their Facebook page will be active and up to date. This service is extremely popular and an agent favorite.